School of Control Science and Engineering, Shandong University, Jinan 250061, China. 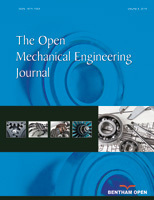 This paper gives a mechanism design of a six DOF hydraulically actuated manipulator firstly. Then its DH frames and link parameters are given. Next, its forward kinematic equations are derived according to homogeneous transformation method. Fourthly, the analytical solutions of its inverse kinematics are solved by given the position and posture of the end-effector simultaneously. The posture of the end-effector is given with three z-y-z Euler angles for they have obvious geometry meanings and are easy to be measured. In addition, the correctness of the inverse kinematic equations is verified in Simulink by comparing many sets of randomly produced joint variables in workspace and their corresponding inverse solutions.